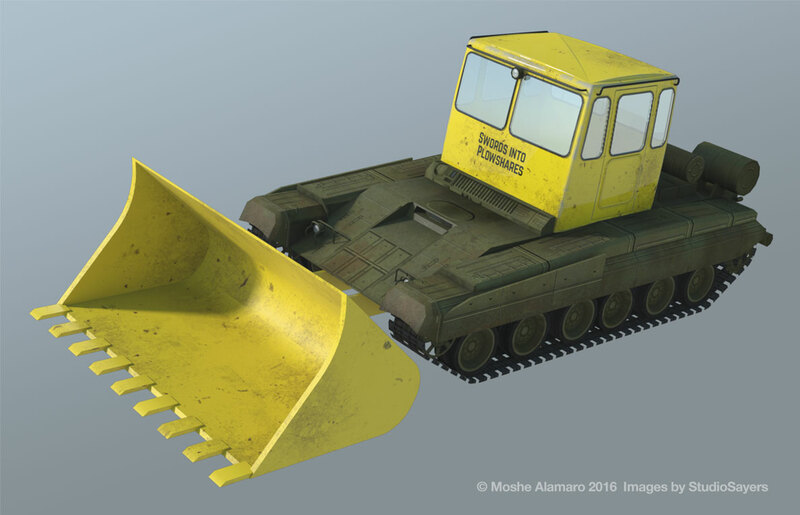 “Swords into Plowshares” is an initiative to help governments convert retired, decommissioned tanks into bulldozers, excavators, and agricultural tractors. The ultimate goal of the program is to promote economoic development, sustainability, and worldwide disarmament. To help raise money and awareness, they required a series of illustrations that illustrated the technical process by which the turret and gun would be removed from a typical T-80 tank, to be retrofitted with a customized cabin and various construction and farming equipment. Thanks to Moshe Alamaro at MIT for another interesting illustration project!